This Account Agreement governs your account and all purchases with Steve Clayton , Inc., the owner and operator of steveclytonstore.com (the “Website,” “Steve Clayton, Inc.,” “steveclaytonstore.com,” or “Clayton USA”). Other services on the Website, or provided by Steve Clayton, Inc. may be governed by additional terms and conditions. For example, your general use of and visit to the Website is also governed by the Terms, incorporated by reference herein and located on the bottom of the Website. The issuance of loyalty points are governed by the Rewards Program terms and conditions incorporated by reference herein. If you agree to be bound by the terms of this Agreement, you must check the box indicating your agreement. If you do not agree to be bound by the terms of this Agreement, you will not be able to proceed with opening an account with Steve Clayton, Inc. or purchase any products through the Website. In this Agreement, “you” and “your” refer to the individuals, corporations or parties who are the members/account holders, have an interest in the account(s) and agree to this Agreement. “We”, “us”, “our”, and “Steve Clayton, Inc.” refer to Steve Clayton, Inc., its employees, members, representatives, officers, directors, agents, successors and assigns. 1. Changes to Account Agreement. We may change, add or remove portions of this Agreement at any time, but if we do so, we will post such changes on the Websites. IF ANY OF THESE RULES OR ANY FUTURE CHANGES ARE UNACCEPTABLE TO YOU, YOU MAY TERMINATE YOUR ACCOUNT BY SENDING AN E-MAIL TO: orders@steveclayton.com. YOUR CONTINUED USE OF THE WEBSITE AND/OR ACCOUNT NOW, OR FOLLOWING THE POSTING OF NOTICE OF ANY CHANGES IN THESE OPERATING RULES, WILL INDICATE ACCEPTANCE BY YOU OF SUCH RULES, CHANGES, OR MODIFICATIONS. 3. Prices/Fees and Payments. You agree to pay all charges incurred in connection with your purchase (including any applicable taxes) at the rates in effect when submitting your order. We will bill all charges to the credit card you supply us. If you want to use a different credit card or there is a change in credit card validity or expiration date, or if you believe someone has accessed your account using your user name and password without your authorization, you must contact us immediately. 4. Order Changes/Cancellations. Do not assume a cancellation or change of ANY order you have made with Steve Clayton, Inc. has been effected until you receive a confirmation from Steve Clayton, Inc. via email or the Website. As stated above, you will be responsible for, and your credit card may be charged for, the payment of all fees associated with orders already processed or shipped before your cancellation/change request was received. 5. Representation as to Capacity to Enter into Agreement. You represent that you have the required legal capacity and that you are of the required legal age (i.e., eighteen years of age) to enter into this Agreement and that no one except you has any interest in your account with us. 6. Order Confirmations, Statements, Notices and Other Communications. You understand that it is your responsibility to review, upon first receipt, whether delivered to you by e-mail, by a posting on the Website, or by all other electronic means, all order confirmations, statements of loyalty points balances, transaction history, notices and other communications. All information contained therein shall be binding upon you, if you do not object, either in writing or via electronic mail, within forty-eight hours after any such document or information is sent to you or available on the Website. In all cases, Steve Clayton, Inc. reserves the right to determine the validity of your objection to the transaction. Such notices, information and other communications from Steve Clayton, Inc. shall be deemed to be delivered and available to you whether actually received or not. You agree that Steve Clayton, Inc. fulfills its legal obligation to deliver to you any such document if sent via electronic delivery. Electronic delivery may be in the form of an email, an electronic mail attachment, a posting on the Website, or in the form of an available download from the Website. You represent that you will download the relevant document promptly after receiving notice of its availability. Should you experience any difficulty opening a document electronically delivered by Steve Clayton, Inc., you will promptly advise Steve Clayton, Inc. in order to allow us to make the required delivery by other means. Failure to advise Steve Clayton, Inc. of such difficulty within forty-eight hours after delivery shall serve as an affirmation that you were able to receive and open said document. 7. Responsibilities and Limitations of Liabilities. You represent that you will be the sole and exclusive authorized user of your password associated with your Steve Clayton, Inc. account and you accept sole responsibility for use, confidentiality and protection of the password as well as for all orders and information changes (i.e., changes of address) entered into your account using such password. You accept full responsibility for the monitoring and safeguarding of your account. You will immediately notify Steve Clayton, Inc. in writing, delivered via e-mail and certified/return receipt requested U.S. mail, if you become aware of any loss, theft or unauthorized use of your password and account number; or any failure by you to receive a message from us indicating that an order was received and executed or any inaccurate information in your account or transaction history. If you fail to notify Steve Clayton, Inc. immediately upon your knowledge when any of the above conditions occur, neither Steve Clayton, Inc. nor any of its officers, directors, employees, agents, affiliates or subsidiaries can or will have any responsibility or liability to you or to any other person whose claim may arise through you for any claims with respect to the handling, mishandling or loss of any order. Under no circumstances, including negligence, shall Steve Clayton, Inc. or anyone involved in creating, producing, delivering or managing Steve Clayton, Inc.’s services be liable for any direct, indirect, incidental, special or consequential damages that result from the use of or inability to use the Website, the services provided by Steve Clayton, Inc. or out of any breach of any warranty by Steve Clayton, Inc.. This exclusion or limitation of liability will not apply to the extent that any applicable statute prohibits such exclusion or limitation of liability. To the extent that any applicable statute applies which modifies the above, Steve Clayton, Inc.’s liability shall not include any hypothetical gains or losses, and it is agreed that the trier of fact shall only consider the actual facts, or lack thereof, of the parties to this Agreement. To the full extent permissible by applicable law, Steve Clayton, Inc. disclaims all warranties, express or implied, including, but not limited to, implied warranties of merchantability and fitness for a particular purpose. The use and storage of any information, including, without limitation, the password, transaction activity, Clayton Loyalty Reward Points balances and any other information or orders available on your personal computer is at your own risk and is your sole responsibility. You are responsible for providing and maintaining the communications equipment (including personal computers and modems) and telephone or alternative services required for accessing and using the Website or related services, and for all communications service fees and charges incurred by you in accessing the Websites or related services. 8. Trademarks. 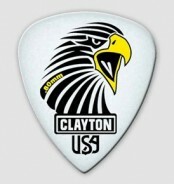 “steveclayton.com“, “steveclaytonstore.com“, “claytoncustom.com“, and other marks indicated on our site are trademarks or trade dress of Steve Clayton, Inc. in the United States and other countries. Steve Clayton, Inc.s trademarks and trade dress may not be used in connection with any product or service that is not Steve Clayton, Inc.’s, in any manner that is likely to cause confusion among customers, or in any manner that disparages or discredits Steve Clayton, Inc. or the Website. All other trademarks not owned by Steve Clayton, Inc. that appear on this site are the property of their respective owners, who may or may not be affiliated with, connected to, or sponsored by Steve Clayton, Inc..
9. Copyright. All content included on this site, such as text, graphics, logos, button icons, images, audio clips, digital downloads, data compilations, and software, is the property of Steve Clayton, Inc. or its content suppliers and protected by United States and international copyright laws. The compilation of all content on this site is the exclusive property of Steve Clayton, Inc. and protected by U.S. and international copyright laws. All software used on this site is the property of Steve Clayton, Inc. or its software suppliers and protected by United States and international copyright laws. 10. Limitations, Restrictions and Termination of steveclayton.com, steveclaytonstore.com, claytoncustom.com Services. You are authorized to use products or materials which are sold or made available by Steve Clayton, Inc. for your own needs only, and you are not authorized to resell products or access to any such materials or to make copies of any such materials for sale or use to and by others. You will not delete copyright or other intellectual property rights notices from printouts of electronically accessed materials. You understand that Steve Clayton, Inc. may at any time, at our sole discretion and without prior notice to you, prohibit or restrict your access to the use of the Website or related services or your ability to purchase products on the Website. Steve Clayton, Inc. may terminate your account at any time for any reason and without prior notice to you. You are free to terminate your account with Steve Clayton, Inc. at any time for any reason, subject to the conditions of Section 4 herein. The closing of an account will not affect the rights and/or obligations of either party incurred prior to the date the account is closed. 11. Risk of Loss/Warranties/Returns. All items purchased from Steve Clayton, Inc. are made pursuant to a shipment contract. This means that the risk of loss and title for such items pass to you upon our delivery to the carrier. Notify you of the discrepancy and request your permission for the upcharge or cancel the order at your request. If an item’s correct price is higher than our stated price, we will, at our discretion, either contact you for instructions before shipping or cancel your order and notify you of such cancellation. 13. Monitoring and Recording Telephone Conversations and E-Mail. For your protection and for the protection of Steve Clayton, Inc., and as a tool to correct misunderstandings, you understand, agree and authorize Steve Clayton, Inc., at its discretion, and without further prior notice to you, to monitor and record any or all telephone conversations between you and Steve Clayton, Inc. and any of Steve Clayton, Inc.’s employees or agents and to monitor your electronic communications with Steve Clayton, Inc..
14. Legally Binding. You hereby agree that this Agreement and all the terms herein shall be binding upon you and your estate, heirs, executors, administrators, personal representatives, successors and assigns. 15. Extraordinary Events/Technical Difficulties. You specifically agree to hold Steve Clayton, Inc. harmless from any and all claims, and agree that Steve Clayton, Inc. shall not be liable for any loss, actual or perceived, caused directly or indirectly by government regulation, exchange or market regulation, suspension of trading, war, strike, equipment failure, communication line failure, system failure, security failure on the Internet, unauthorized access, theft, or any problem, technological or otherwise, that might prevent you from entering or Steve Clayton, Inc. from executing an order, or other conditions beyond our control. Furthermore, in a technical environment, should an error occur with respect to the tracking of any order or order entry, the true, actual and correct transaction or position will be restored. It is your responsibility to ensure account correctness and accuracy and to contact Steve Clayton, Inc. immediately with any discrepancies. 16. The Laws of the State of Oregon Govern/Assignment. This Agreement and its enforcement shall be governed by the laws of Oregon and shall cover individually and collectively all accounts you may open with Steve Clayton, Inc. and shall be binding upon you and your successors (whether by merger, consolidation or otherwise), heirs, executors, administrators, and assigns. This Agreement shall inure to the benefit of Steve Clayton, Inc. and its successors, assigns and agents. Steve Clayton, Inc. may assign its rights and duties under this Agreement to any of its subsidiaries or affiliates without giving you notice, or to any other entity upon prior written notice to you. 17. Agreement to Arbitrate Controversies. Any dispute relating in any way to your visit to the Website or to products you purchase through steveclayton.com, steveclaytonstore.com by phone shall be submitted to confidential arbitration in Oregon, except that, to the extent you have in any manner violated or threatened to violate Steve Clayton, Inc.’s intellectual property rights, Steve Clayton, Inc. may seek injunctive or other appropriate relief in any state or federal court in the state of Oregon , and you consent to exclusive jurisdiction and venue in such courts. Arbitration under this agreement shall be conducted under the rules then prevailing of the American Arbitration Association. The arbitrator’s award shall be binding and may be entered as a judgment in any court of competent jurisdiction. To the fullest extent permitted by applicable law, no arbitration under this Agreement shall be joined to an arbitration involving any other party subject to this Agreement, whether through class arbitration proceedings or otherwise. 18. Waiver. Except as specifically permitted in this Agreement, no provision or condition of this Agreement can be, nor should be deemed to be, waived, altered, modified or amended unless agreed to in writing by an authorized officer of Steve Clayton, Inc..
19. Amendments; Entire Agreement. You understand that access to and your use of your account constitutes your consent and agreement to abide by the terms and conditions of this Account Agreement. Steve Clayton, Inc. may at any time revise these terms and conditions by updating the Account Agreement. You agree to be bound by subsequent revisions and agree to review the Account Agreement periodically for changes to the terms and conditions of the Account Agreement. The most up to date version of the Account Agreement will always be available for your review on the Websites. Continued use of Steve Clayton, Inc. after such changes will constitute acknowledgment and acceptance of such amendment. This Agreement represents the entire agreement between you and Steve Clayton, Inc. concerning the subject matter hereof. Certain policies and/or procedures may be further outlined on the steveclayton.com, steveclaytonstore.com, claytoncustom.com website, and by your use of the Steve Clayton, Inc. websites and services, you agree to be bound by any and all such postings. You may not assign any right or obligations hereunder without first obtaining the prior written consent by an authorized officer of Steve Clayton, Inc..
20. Separability. If any provision or condition of this Agreement shall be held to be invalid or unenforceable by reason of any law, rule, administrative order or judicial decision by any court, or regulatory or self-regulatory agency or body, such invalidity or unenforceability shall attach only to such provision or condition. The validity of the remaining provisions and conditions shall not be affected thereby and this Agreement shall be carried out as if any such invalid or unenforceable provision or condition were not contained herein. 21. Headings are Descriptive. The headings of each provision hereof is for descriptive purposes only and shall not be deemed to modify or qualify any of the rights or obligations set forth in each such provision. 22. Loyalty Points Program. 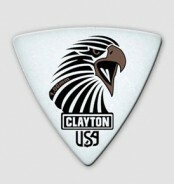 The issuance of Clayton Loyalty points to members are governed by the Loyalty Points terms and conditions.